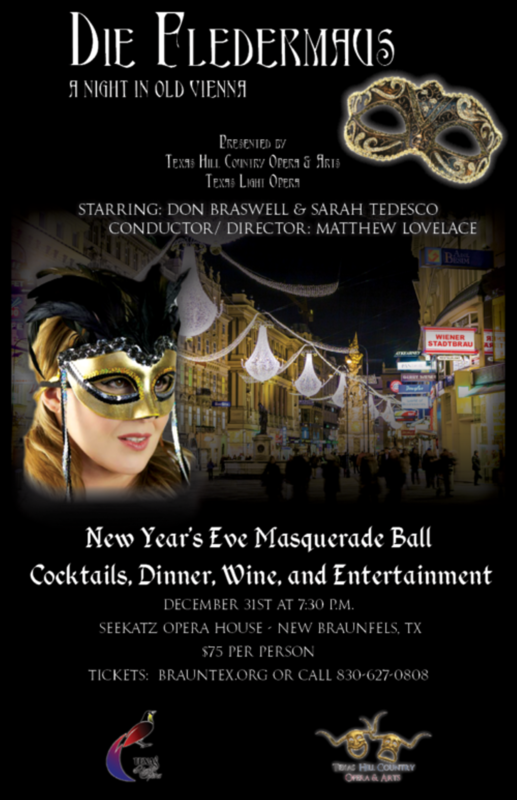 The Second Annual Masquerade Ball Performance of Act II of Die Fledermaus (The Bat). 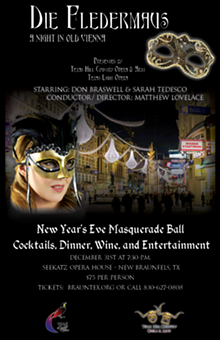 This comedy written by Johann Strauss has been a holiday spectacular around the world since 1874. Cocktail reception from 7:30-8:30, followed by a four course dinner by Chef Marmienne. The evening includes dancing, soloists, and a live auction. The night will conclude with the “Champagne Song” and toast.